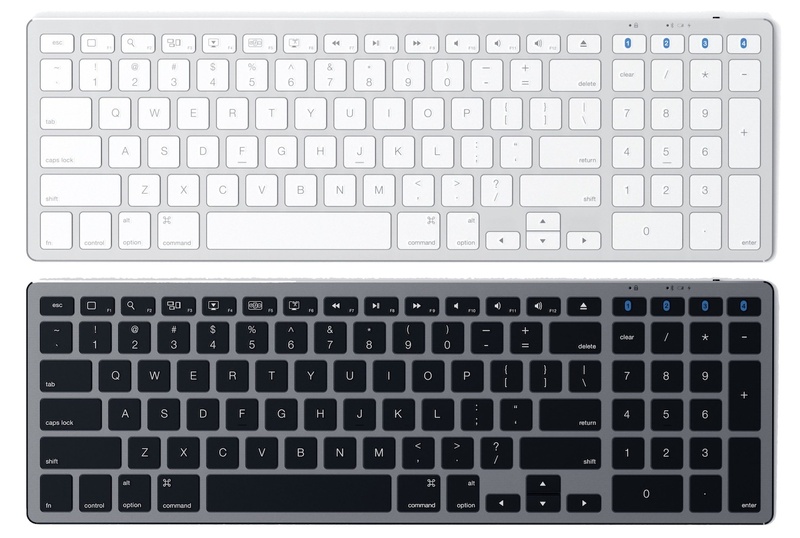 Satechi，4台のデバイスを登録可能なUSB-C充電対応のワイヤレスキーボード「Aluminum Bluetooth Slim Wireless Keyboard」を発売。 | AAPL Ch. Created to complement your modern desk set-up, the Slim Wireless Keyboard features diamond-cut chamfered edges and adds a full-QWERTY keyboard over wireless Bluetooth connection. 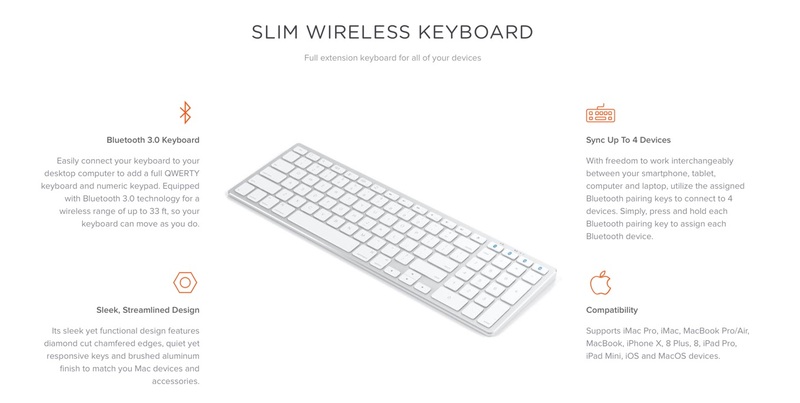 Designed for Mac systems, the Slim Wireless Keyboard includes convenient function hot keys, full numeric keypad and a USB-C rechargeable port. With freedom to connect to 4 Bluetooth devices, it has never been easier to switch between devices with a press of a button.